She succeeded as the 7th Baroness Harington [E., 1326] on 31 December 1460, suo jure.2 She succeeded as the 2nd Baroness Bonville [E., 1449] on 18 February 1460/61, suo jure.6 From 18 July 1474, her married name became Grey. From between 22 November 1503 and 18 October 1505, her married name became Stafford.4 Her last will was dated 6 March 1527/28. [S11] Alison Weir, Britain's Royal Families, page 130. [S6] G.E. Cokayne; with Vicary Gibbs, H.A. Doubleday, Geoffrey H. White, Duncan Warrand and Lord Howard de Walden, editors, The Complete Peerage of England, Scotland, Ireland, Great Britain and the United Kingdom, Extant, Extinct or Dormant, new ed., 13 volumes in 14 (1910-1959; reprint in 6 volumes, Gloucester, U.K.: Alan Sutton Publishing, 2000), volume II, page 232. Hereinafter cited as The Complete Peerage. Lady Anne Stafford was born in 1483 at Brecknock Castle, Brecknock, Breconshire, WalesG.3 She was the daughter of Henry Stafford, 2nd Duke of Buckingham and Katherine Woodville.1 She married, firstly, Sir Walter Herbert, son of William Herbert, 1st Earl of Pembroke and Anne Devereux, in 1503.1,3 She married, secondly, George Hastings, 1st Earl of Huntingdon, son of Sir Edward Hastings, 2nd Lord Hastings and Mary Hungerford, 5th Baroness Botreaux, circa December 1509.4 She died in 1544. 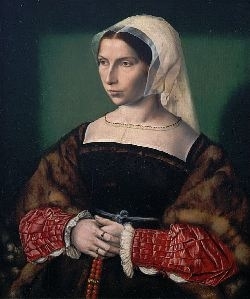 From 1503, her married name became Herbert.1,3 From circa December 1509, her married name became Hastings.4 After her marriage, Lady Anne Stafford was styled as Countess of Huntingdon on 8 December 1529. [S6] G.E. Cokayne; with Vicary Gibbs, H.A. Doubleday, Geoffrey H. White, Duncan Warrand and Lord Howard de Walden, editors, The Complete Peerage of England, Scotland, Ireland, Great Britain and the United Kingdom, Extant, Extinct or Dormant, new ed., 13 volumes in 14 (1910-1959; reprint in 6 volumes, Gloucester, U.K.: Alan Sutton Publishing, 2000), volume VI, page 655. Hereinafter cited as The Complete Peerage. [S6] Cokayne, and others, The Complete Peerage, volume VI, page 655. [S6] G.E. Cokayne; with Vicary Gibbs, H.A. Doubleday, Geoffrey H. White, Duncan Warrand and Lord Howard de Walden, editors, The Complete Peerage of England, Scotland, Ireland, Great Britain and the United Kingdom, Extant, Extinct or Dormant, new ed., 13 volumes in 14 (1910-1959; reprint in 6 volumes, Gloucester, U.K.: Alan Sutton Publishing, 2000), volume XII/1, page 520. Hereinafter cited as The Complete Peerage. [S6] G.E. Cokayne; with Vicary Gibbs, H.A. Doubleday, Geoffrey H. White, Duncan Warrand and Lord Howard de Walden, editors, The Complete Peerage of England, Scotland, Ireland, Great Britain and the United Kingdom, Extant, Extinct or Dormant, new ed., 13 volumes in 14 (1910-1959; reprint in 6 volumes, Gloucester, U.K.: Alan Sutton Publishing, 2000), volume XII/1, page 519. Hereinafter cited as The Complete Peerage. She was also known as Anne Holland. From October 1466, her married name became Grey. [S6] G.E. Cokayne; with Vicary Gibbs, H.A. Doubleday, Geoffrey H. White, Duncan Warrand and Lord Howard de Walden, editors, The Complete Peerage of England, Scotland, Ireland, Great Britain and the United Kingdom, Extant, Extinct or Dormant, new ed., 13 volumes in 14 (1910-1959; reprint in 6 volumes, Gloucester, U.K.: Alan Sutton Publishing, 2000), volume IV, page 418. Hereinafter cited as The Complete Peerage.